The beautiful Greek island of Kefalonia certainly knows how to party. All year round many festivals and cultural and religious events take place. Towns and villages across the island host their own festivities to honour the patron saints. Even the smallest of villages will see dancing, drinking, eating and merriment, going on until the early hours of the morning. Testament to the diversity of Kefalonia’s festivals is its August event calendar. For example, on August 15, a huge festival engulfs the island in honour of the Virgin Mary. A day later, the island celebrates the Patron Saint Agios Gerasimos, who is believed to be the protector of Kefalonia. The end of August sees the International Music Festival open its doors in the town of Argostoli, the capital of Kefalonia. One of the island’s biggest celebrations takes place in the third week of August in Fragata. Known as the Robola Wine Festival, this annual event is held in celebration of the fine white Robola wine produced on the island. During the festival locals and visitors have the chance to sample this popular wine, free of charge. The event is organised by the Robola Wine Company, who are situated in the Omala Valley at an altitude of 1200 feet. The festival sees plenty of music, food and dancing accompany the copious amounts of Robola wine that’s consumed. Whilst there are almost 50 varieties of grape grown on the island, which produce a diverse assortment of wine, it is Robola that is considered the most superior. In fact so superlative in quality is this aromatic white wine considered, it has been awarded its own Appellation of Superior Quality Wine status. 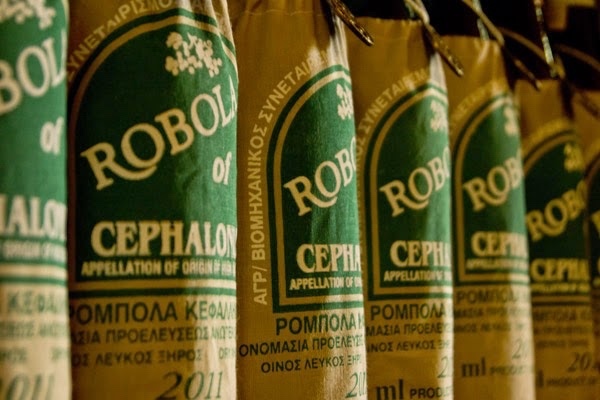 If you have a penchant for Robola wine and enjoy experiencing traditional Greek culture, you won’t be disappointed with the Robola Wine Festival on Kefalonia in August. Certainly something to look out for in 2016!